It's not easy to define a flavour. We will understand it better if we remember that phrase that says "an image is worth a thousand words", and we change only the word image by bite and it serves us equally for the case. 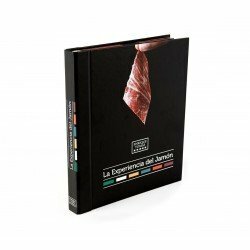 One thing is certain, we are dealing with an unparalleled delicacy that tastes divine, a gastronomic experience that has made half the world fall in love and that never ceases to surprise us with new data and curiosities. 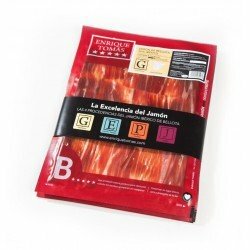 So much so that eating a slice of Iberian ham gives us a different flavour depending on whether it is a ham or a ham shoulder, and depending on the cutting area of the same piece, even if it comes from the same animal. How much richness and pleasure there is in a simple slice! Get ready now for the intense flavour! 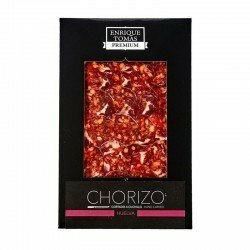 you will find it saltier compared to other Iberian flavours, even a slightly smoky taste. Surely, it is the most internationally recognized flavour. It is the first taste of Iberian ham because the ham experts who make it were the first to produce ham in the Iberian Peninsula. 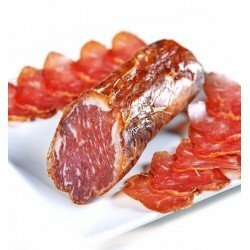 It is a gastronomic jewel coming from the best Iberian pigs raised in the marvellous farms and pastures where they make the montanera and whose ham shoulders and Iberian hams are dried and cured in the same place. The biodiversity of the Mediterranean climate and the method of artisan drying followed by its ham experts make its fat have an aroma and taste easily recognizable, giving it a resounding and intense end. Quite a delicacy for the most demanding palates, but also the more resistant. Simply unforgettable! The natural conditions in which the Iberian pig with which this ham is produced is raised are very optimal for the result to be a ham and a first-class cured meat that when it comes into contact with your palate will make you feel an intense, strong flavour that will conquer all your senses: for the strong and brilliant red colour, for the almost smoky smell, for the intense flavour that will make you sigh deeply because you will have found your flavour. In short, you will have had a brief but resounding gastronomic experience. In this case, we can apply the saying "brevity is the soul of wit" perfectly.